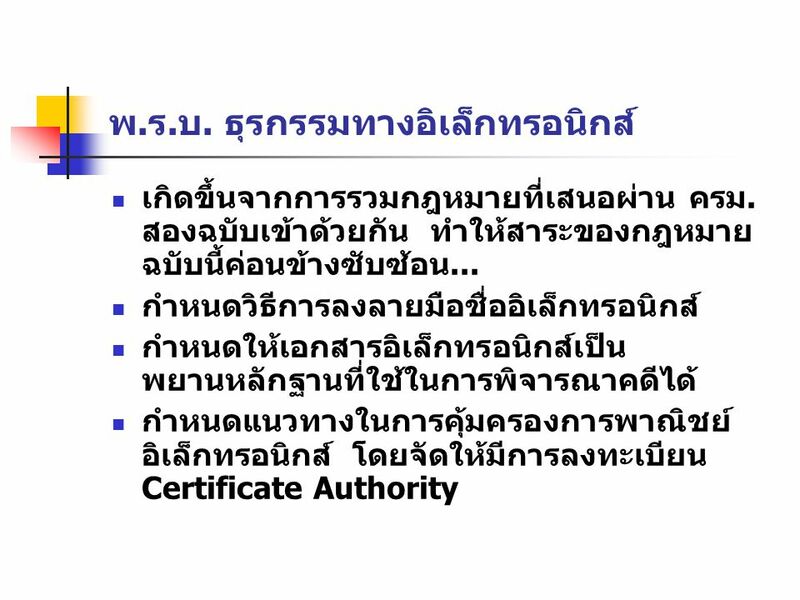 It is a crime to access, alter, damage, or destroy information on a computer without authorization. 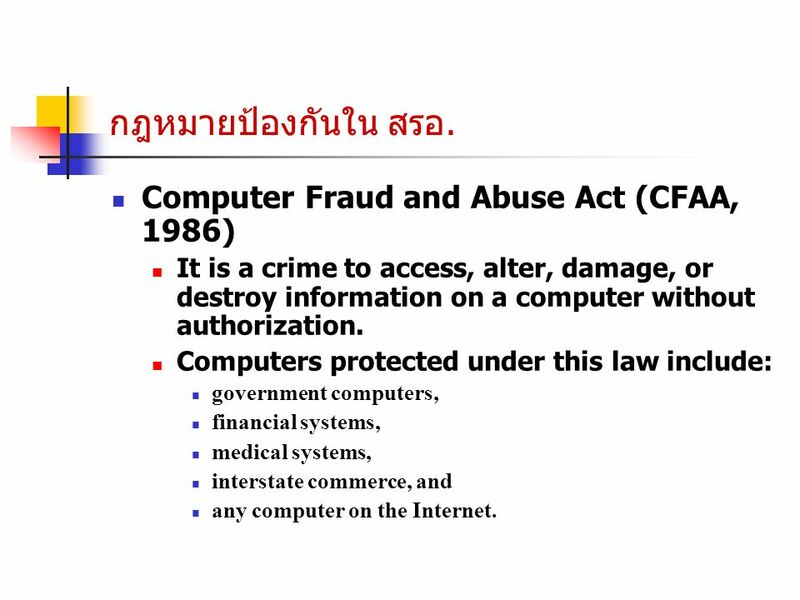 Computers protected under this law include: government computers, financial systems, medical systems, interstate commerce, and any computer on the Internet. 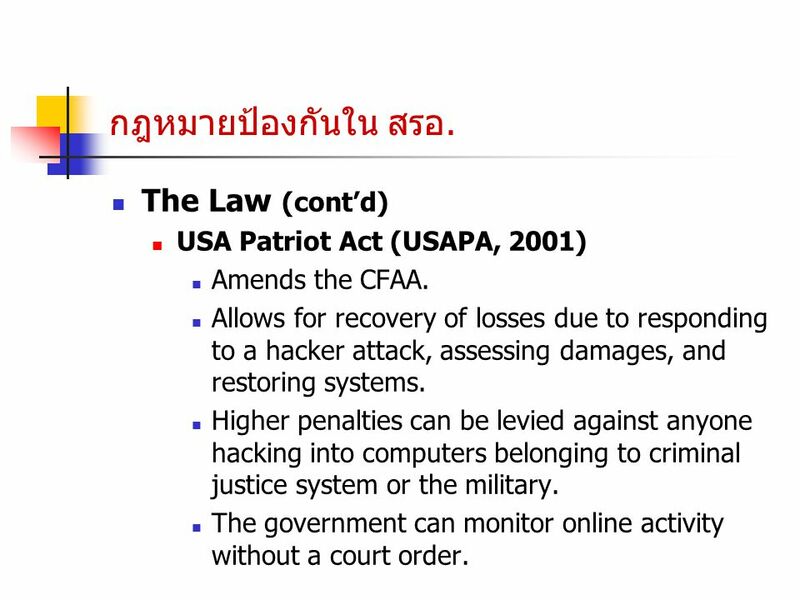 Amends the CFAA. 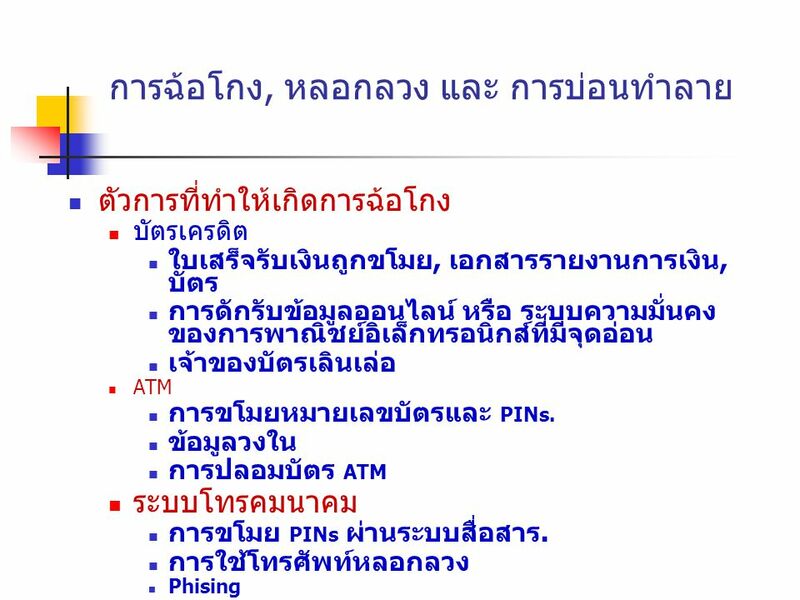 Allows for recovery of losses due to responding to a hacker attack, assessing damages, and restoring systems. 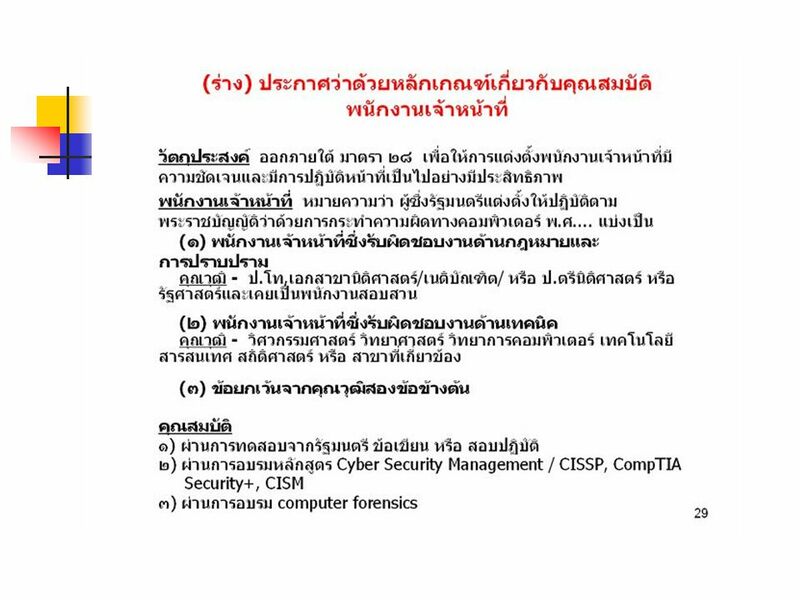 Higher penalties can be levied against anyone hacking into computers belonging to criminal justice system or the military. 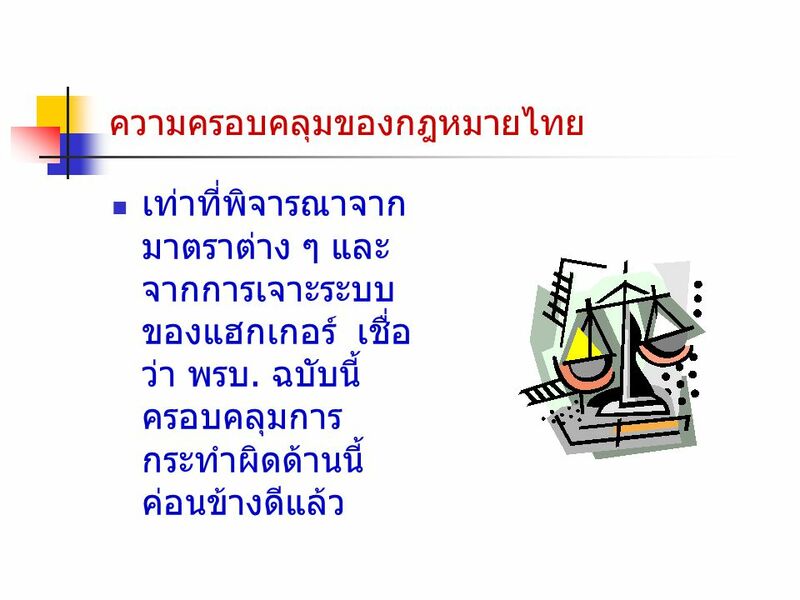 The government can monitor online activity without a court order. 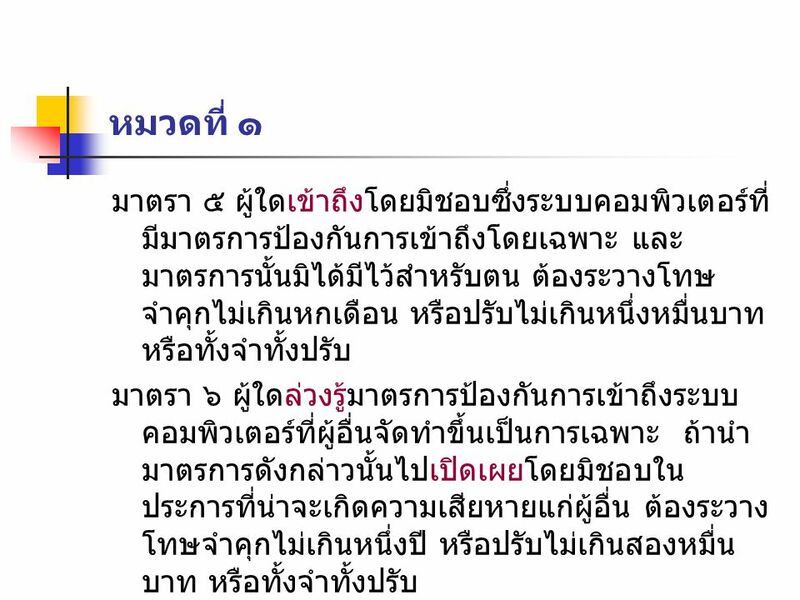 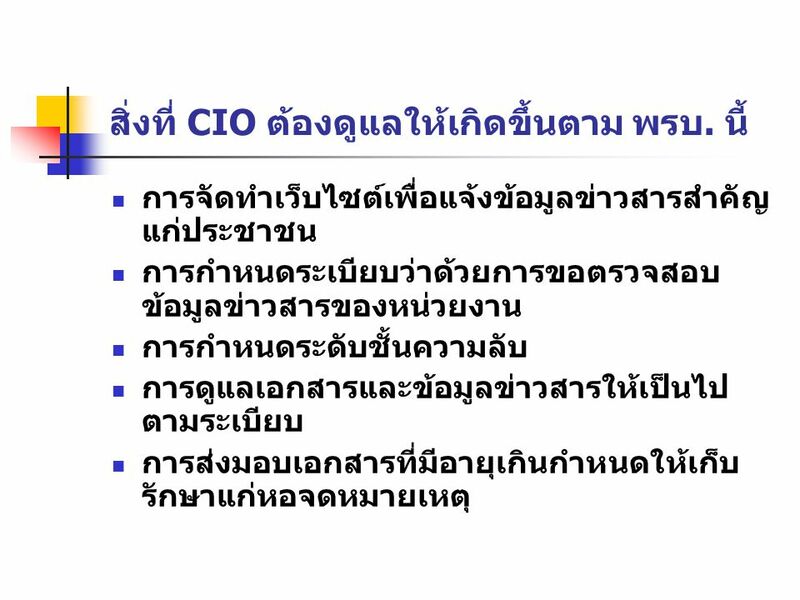 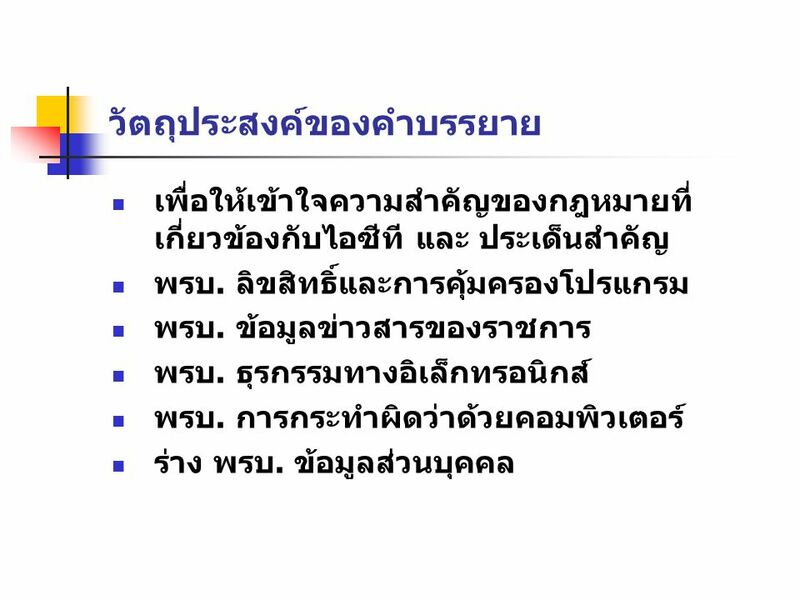 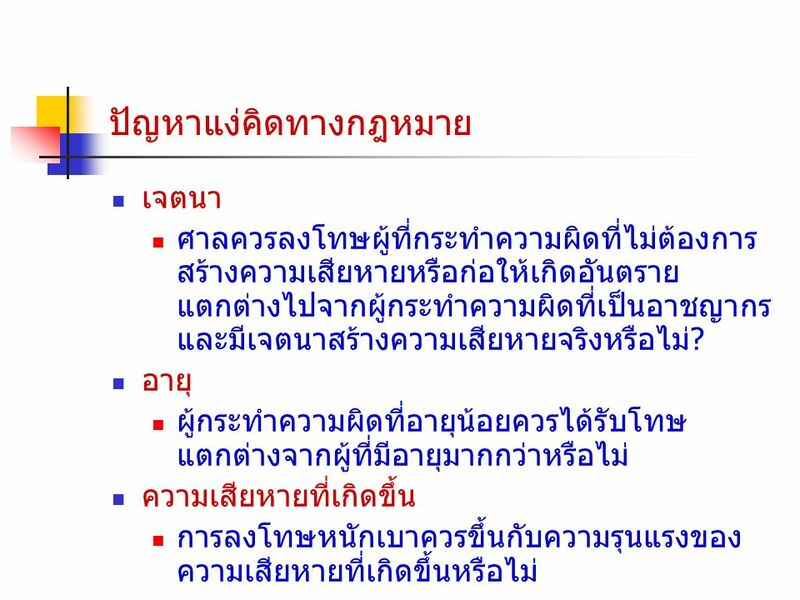 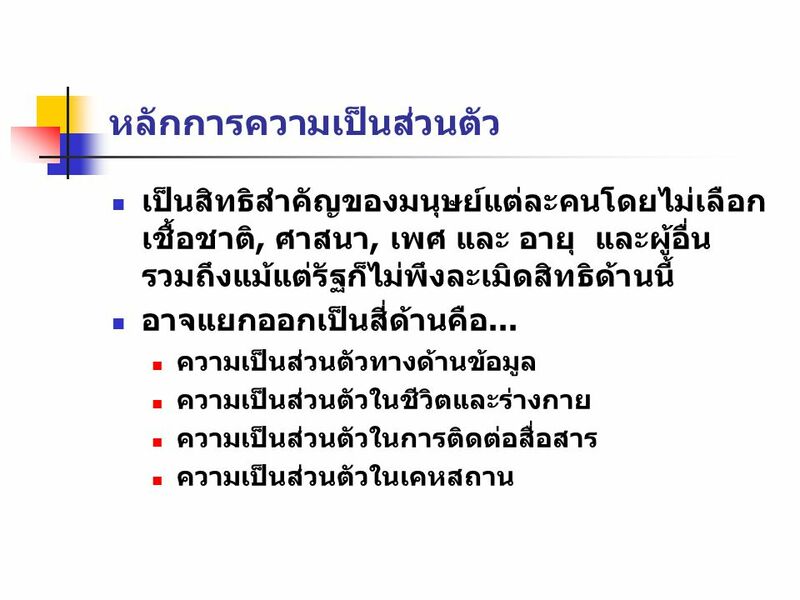 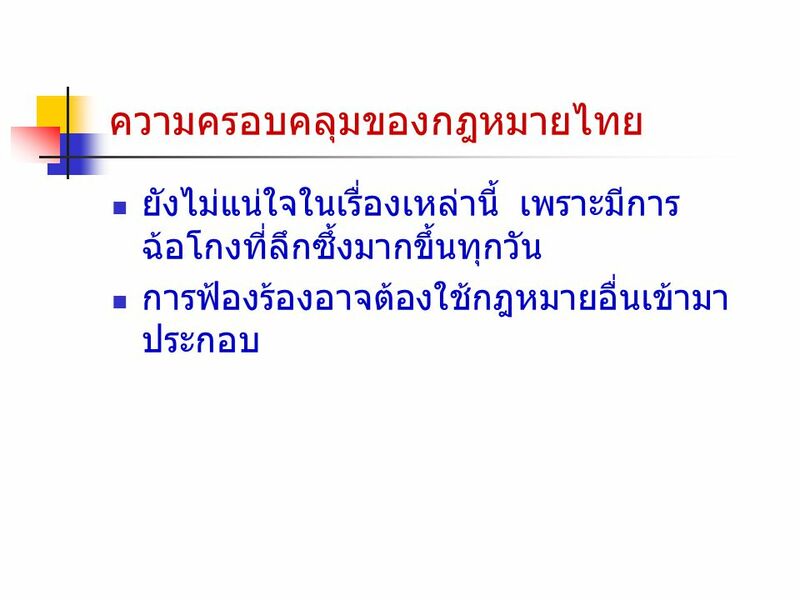 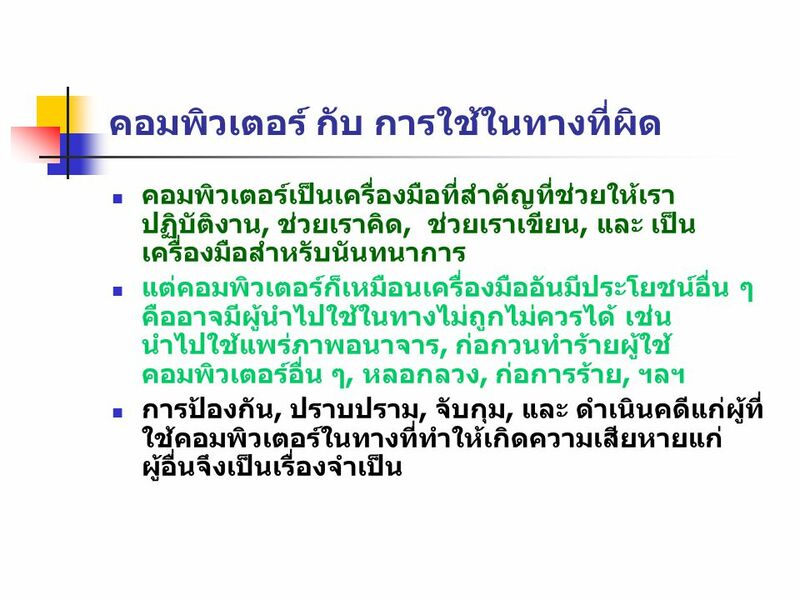 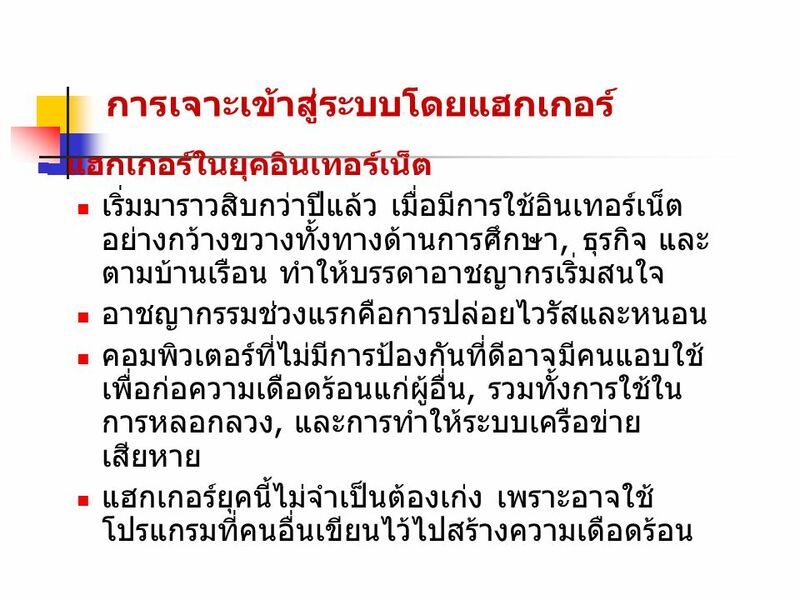 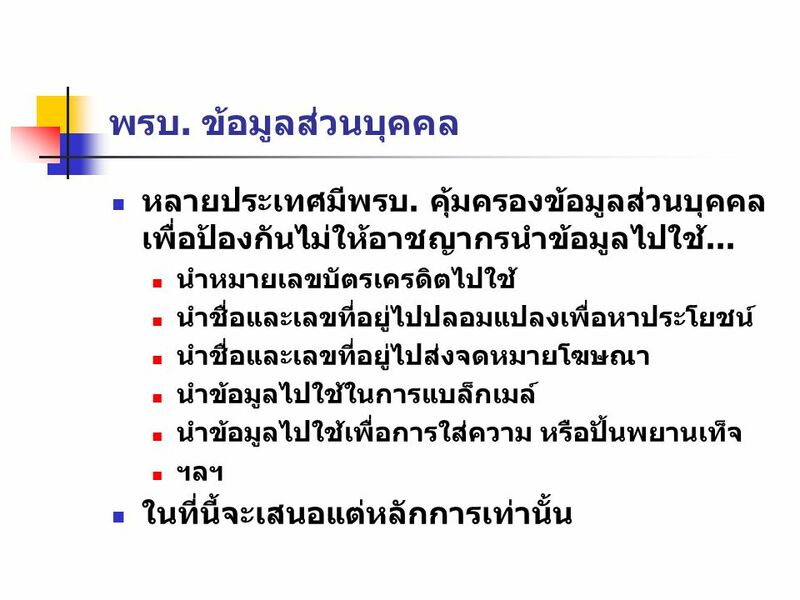 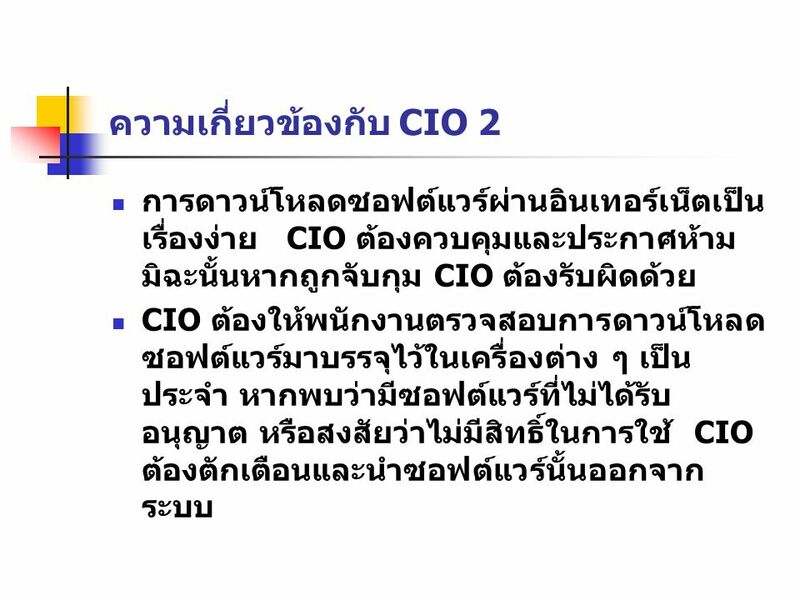 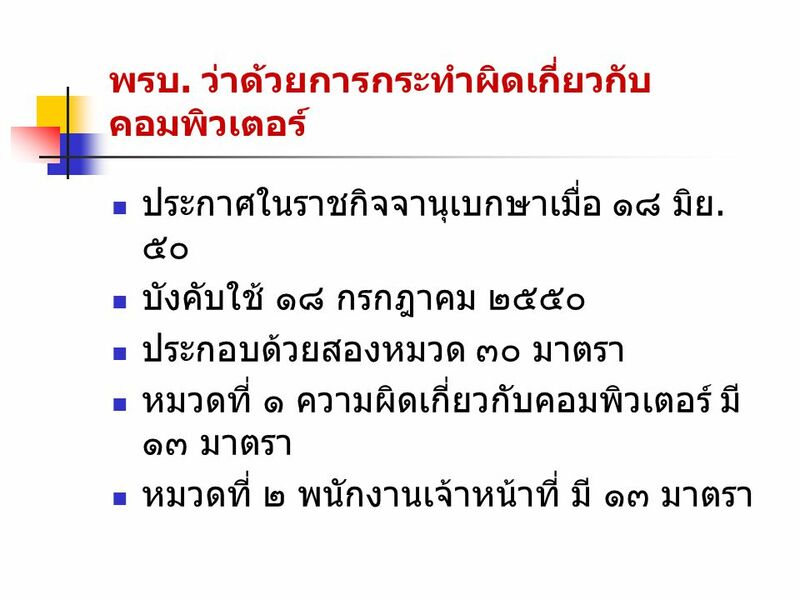 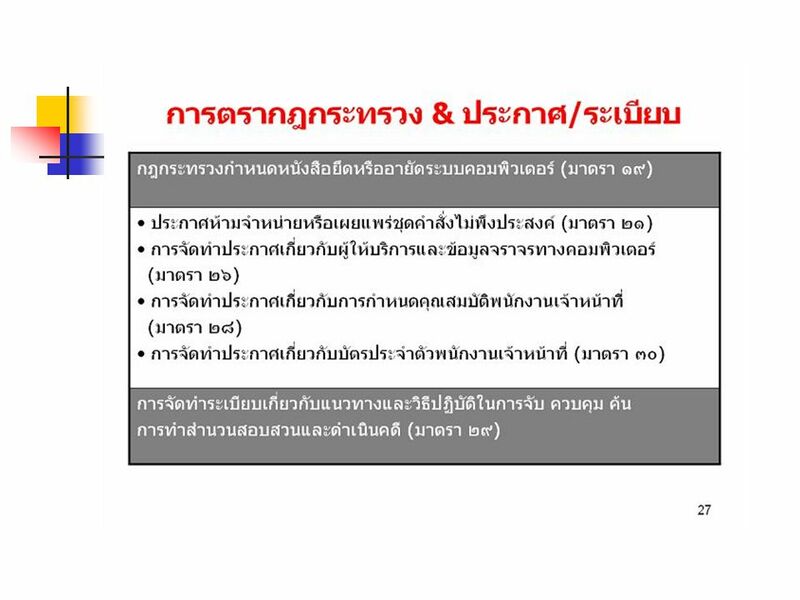 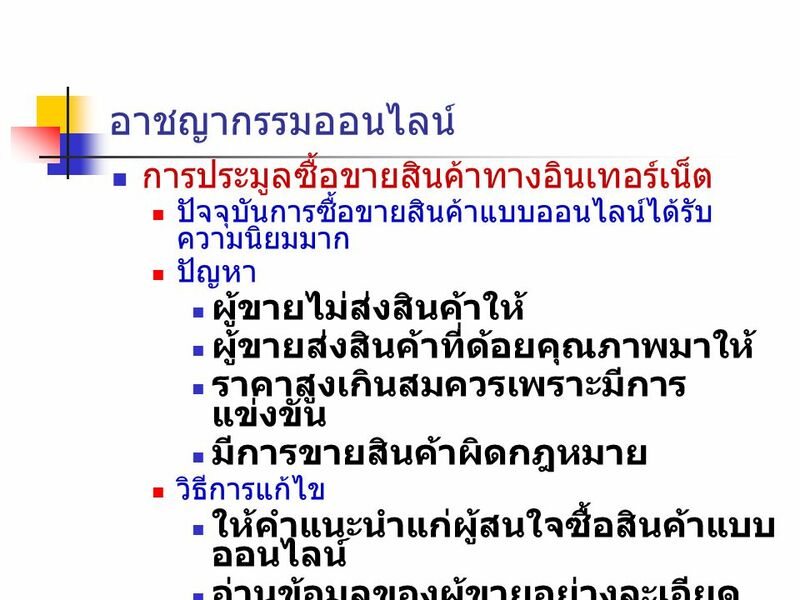 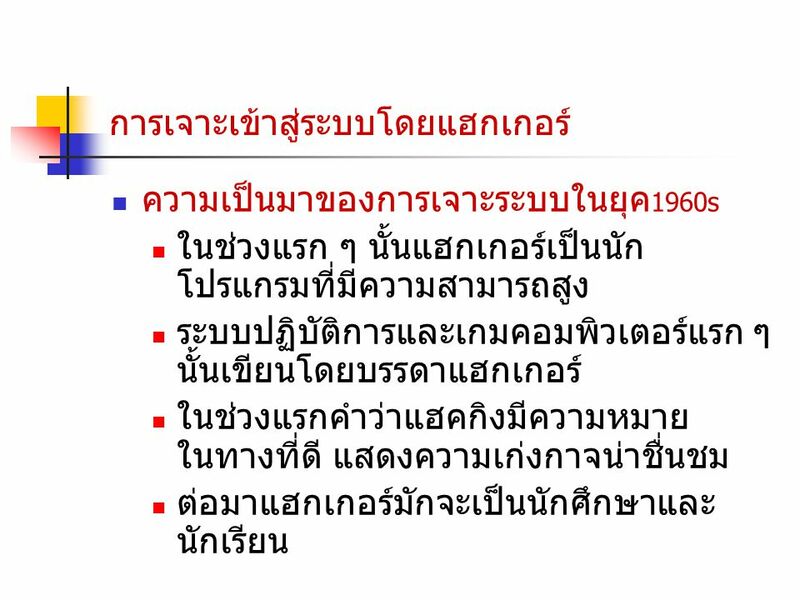 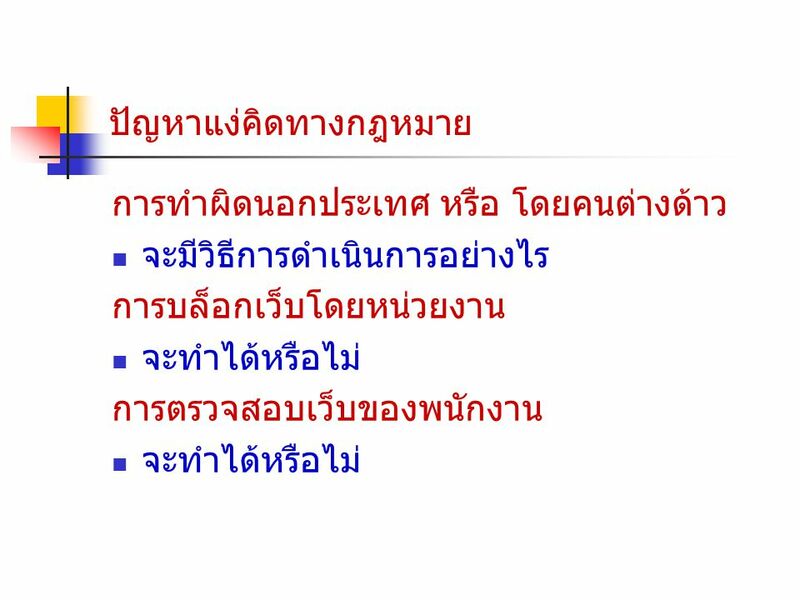 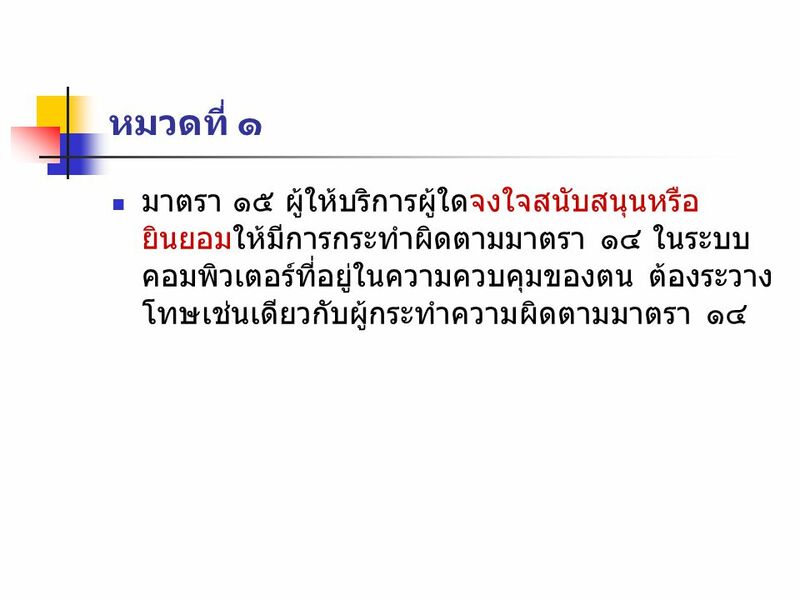 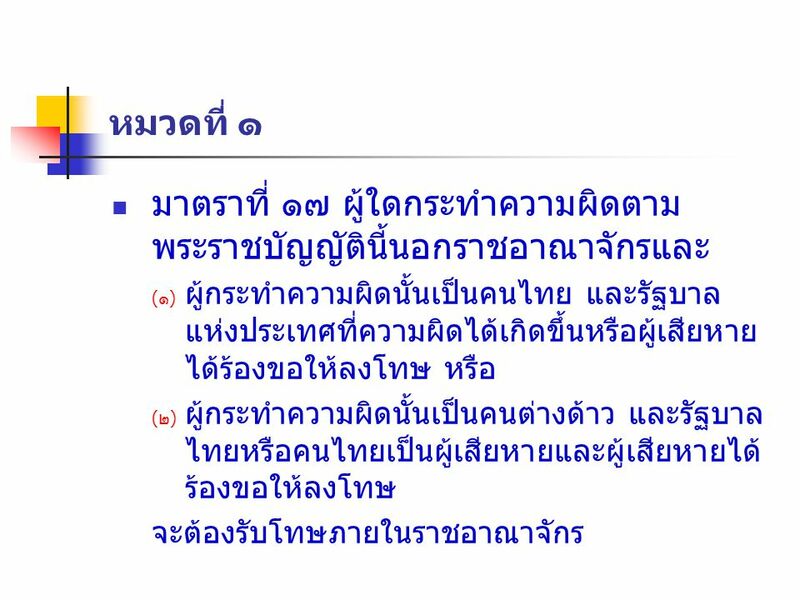 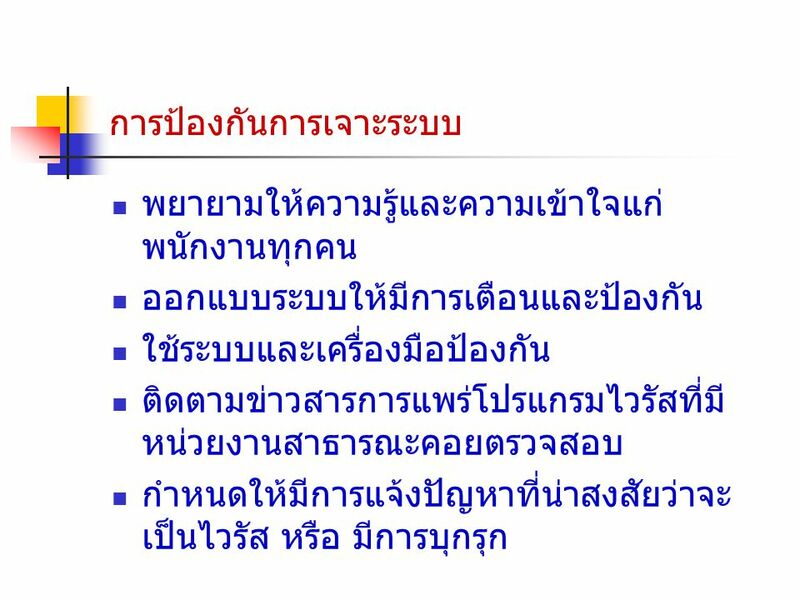 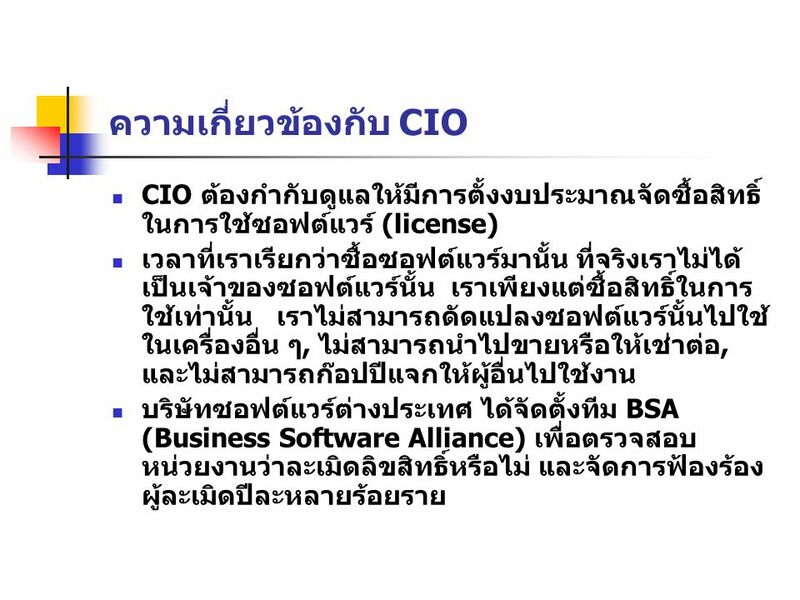 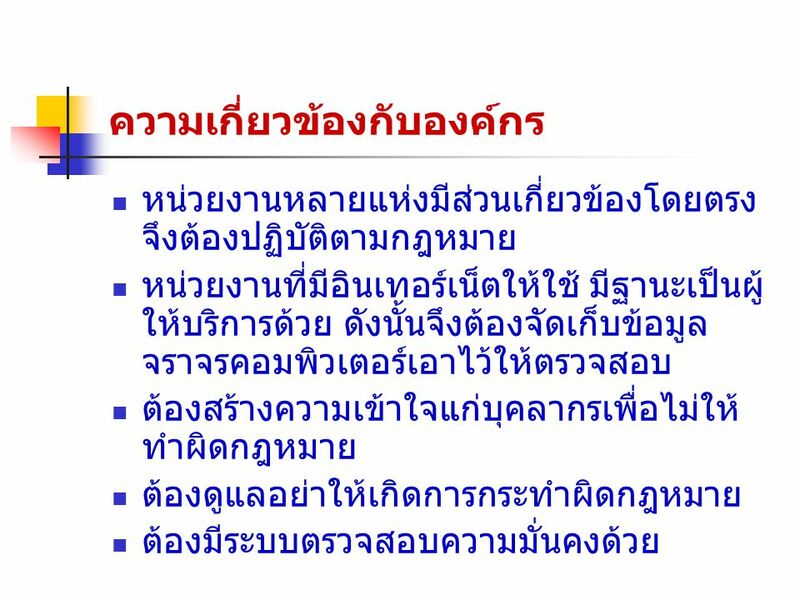 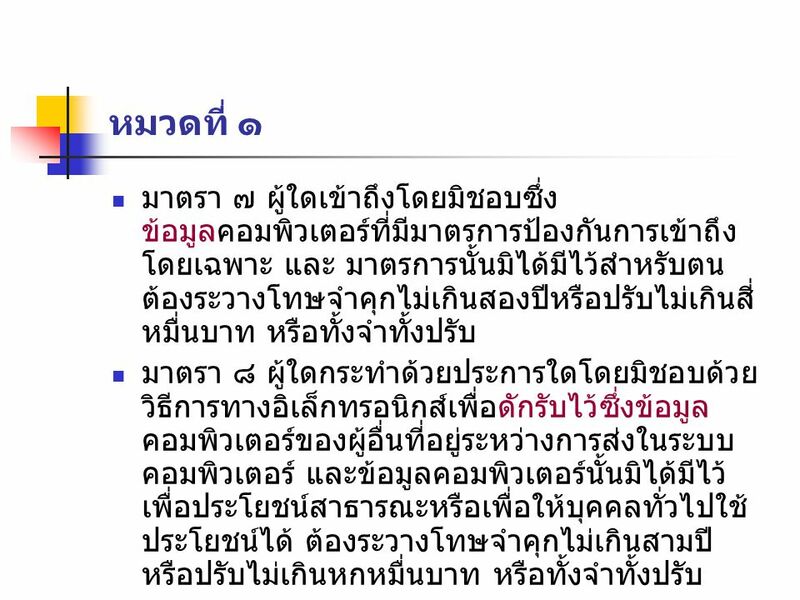 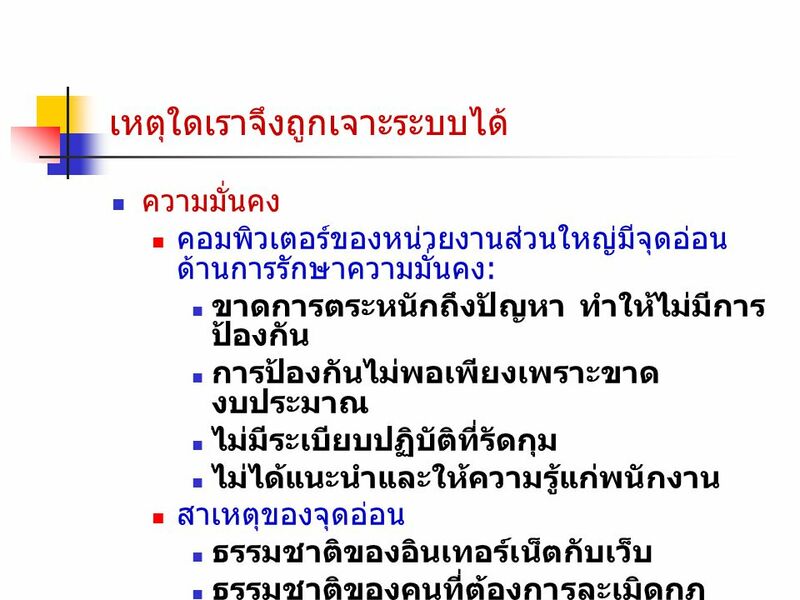 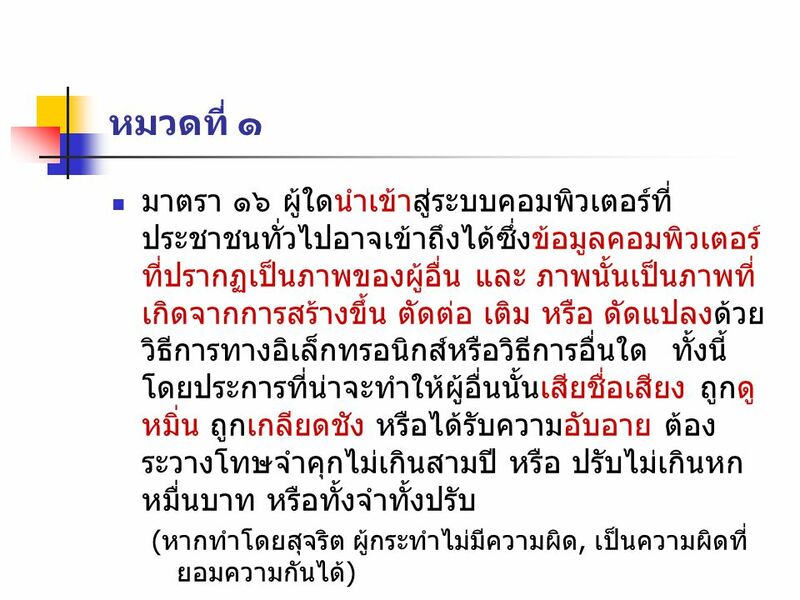 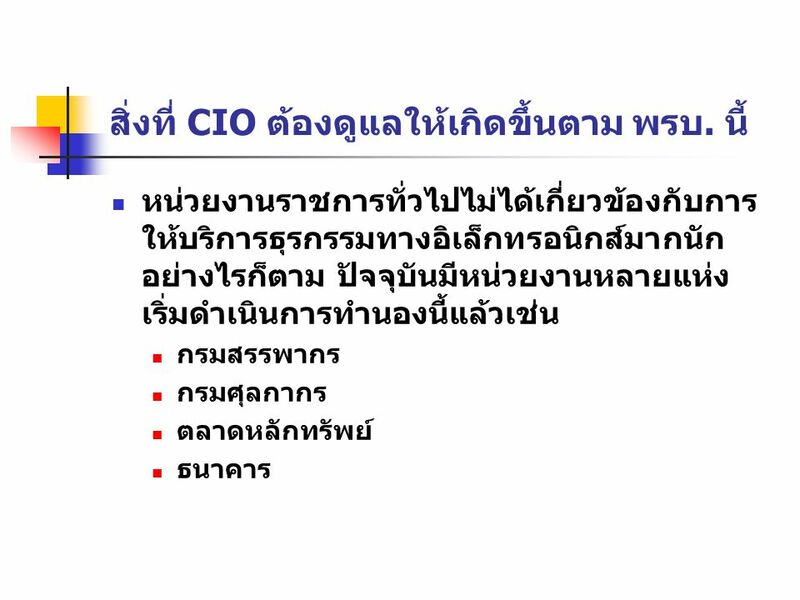 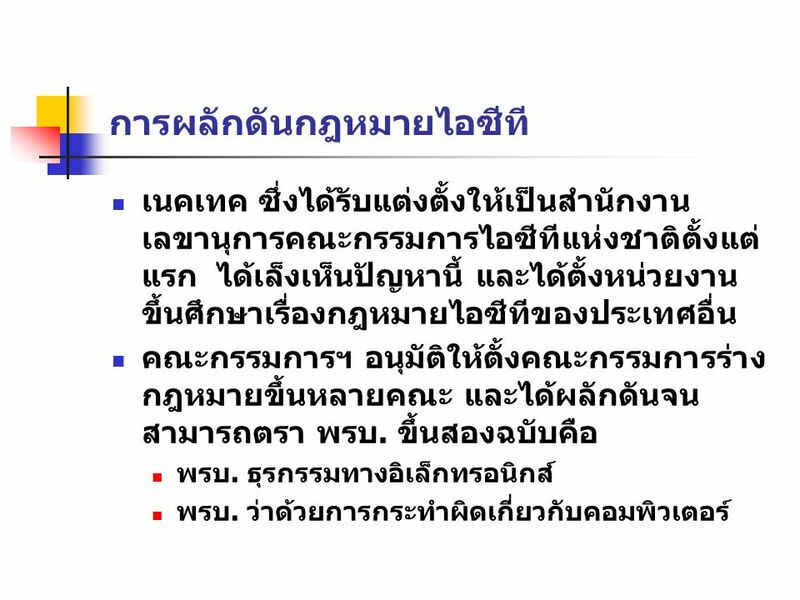 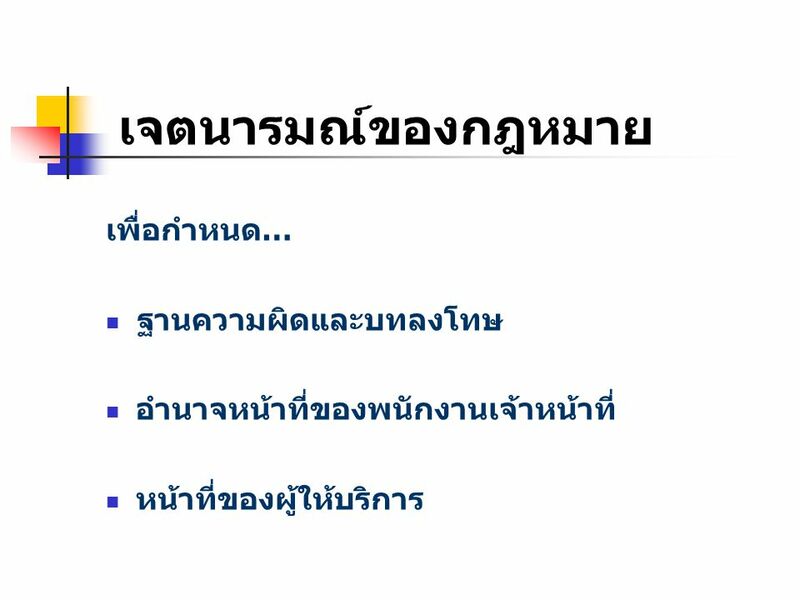 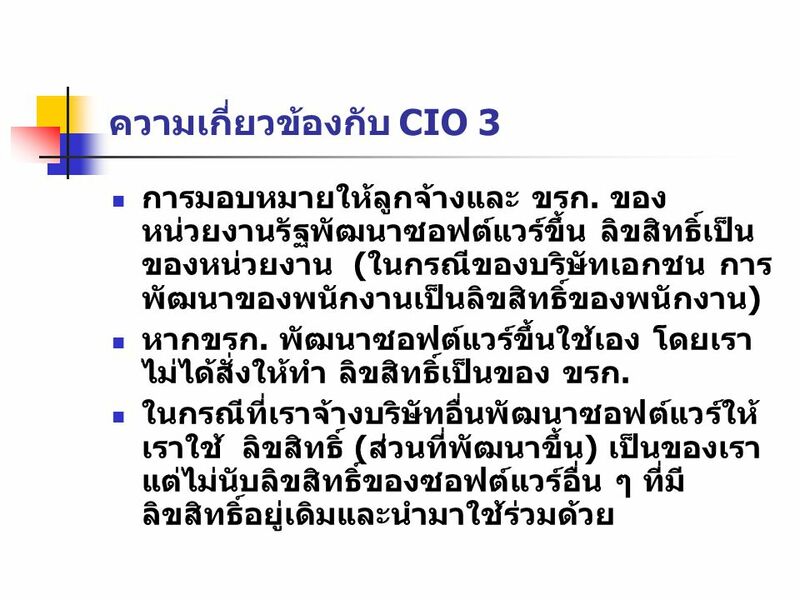 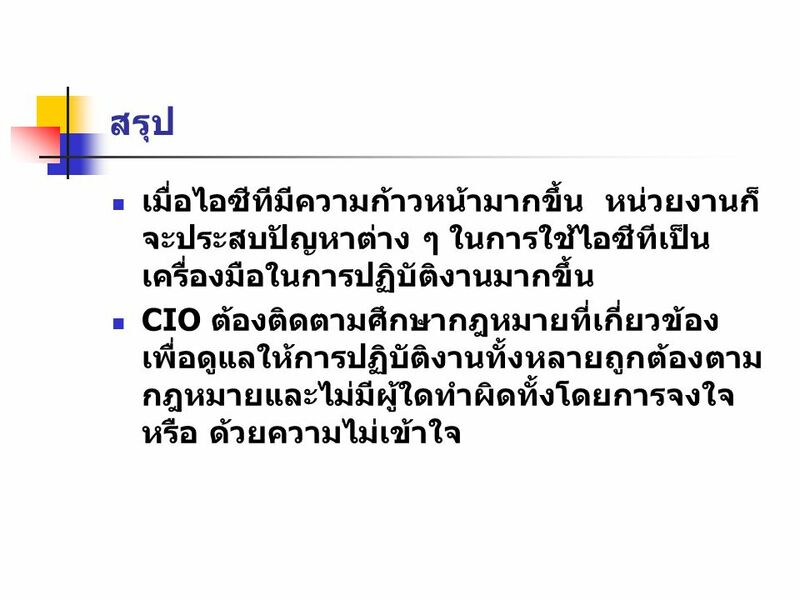 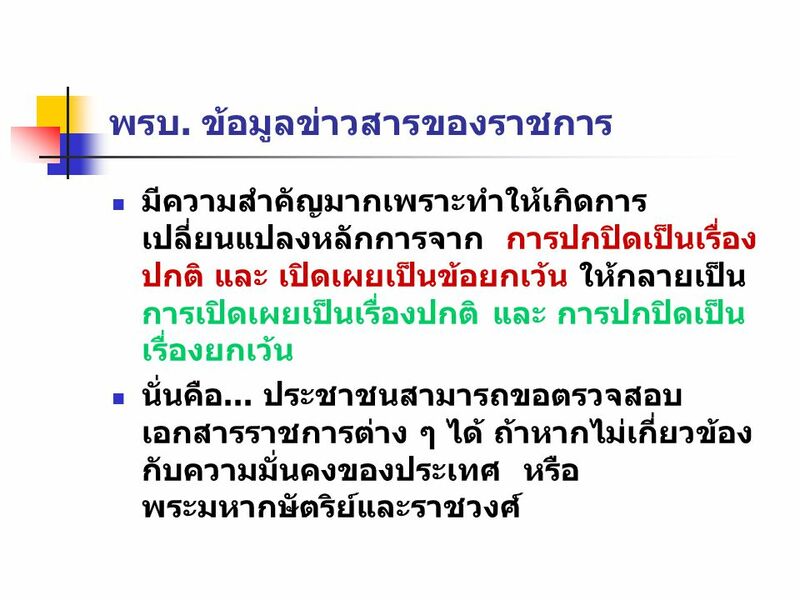 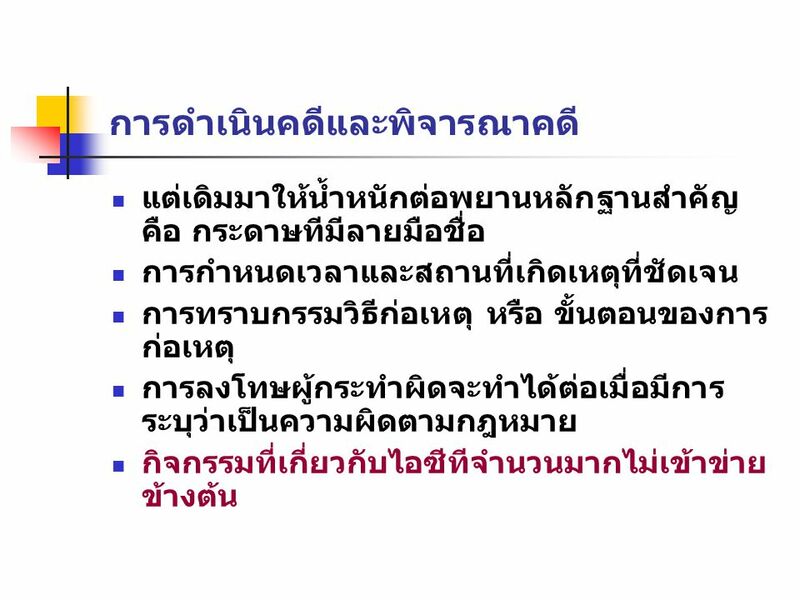 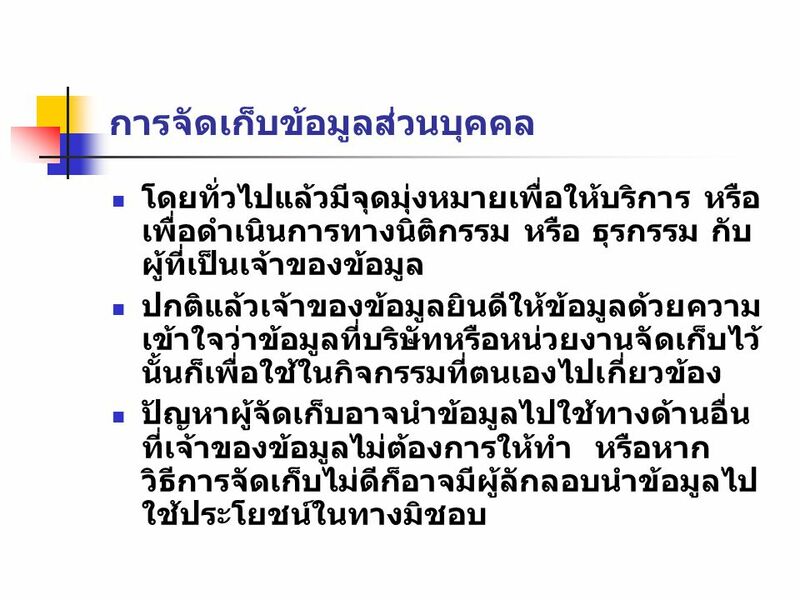 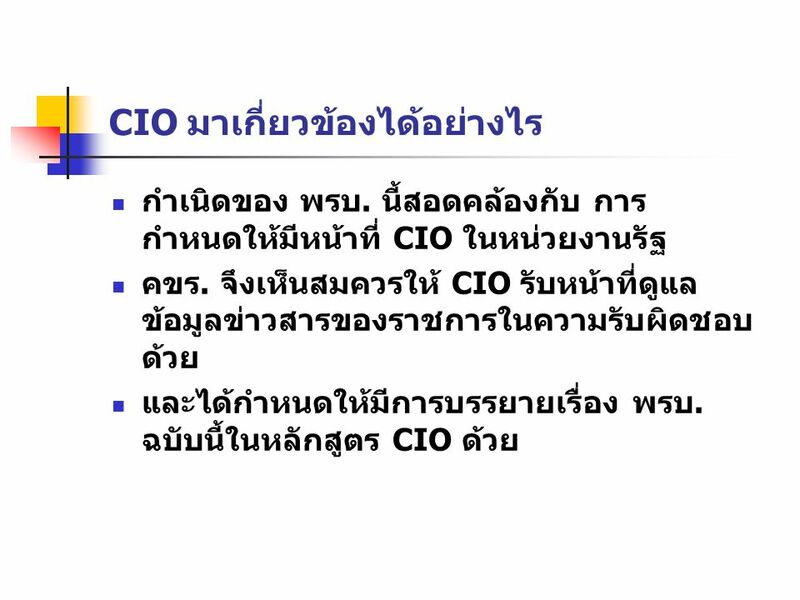 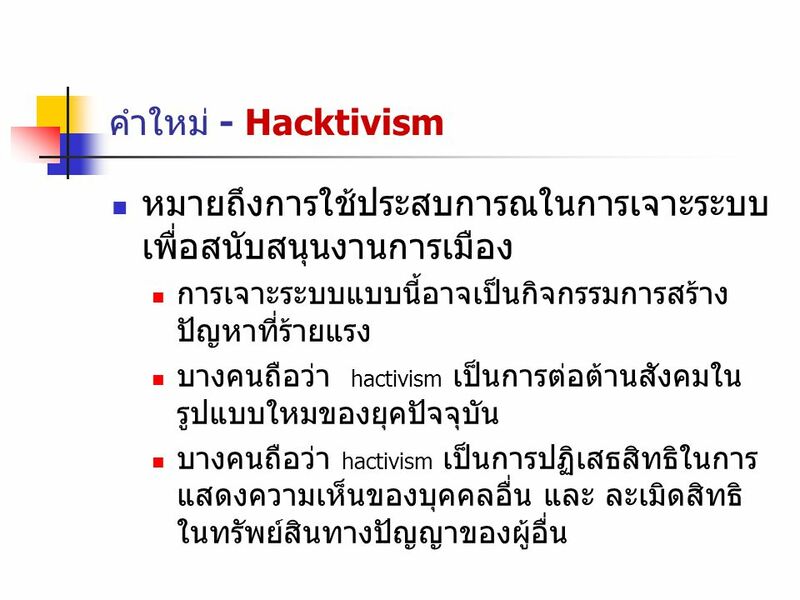 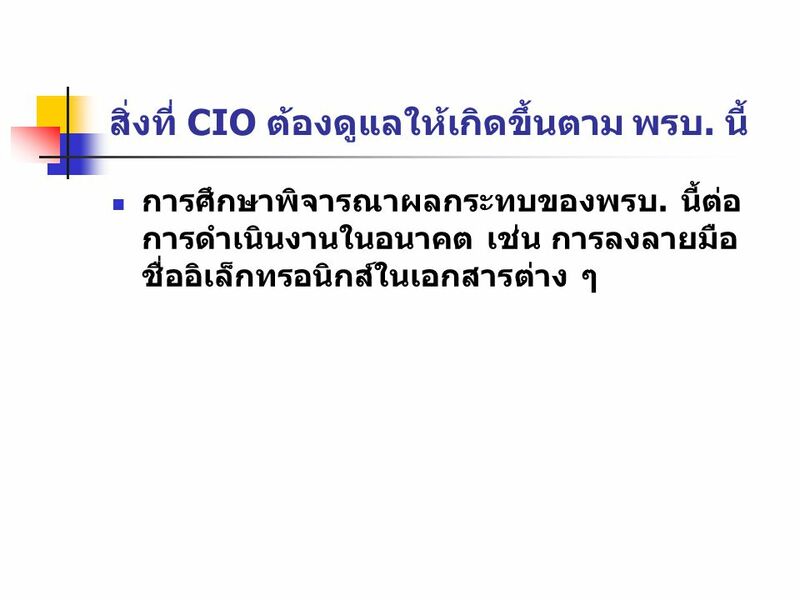 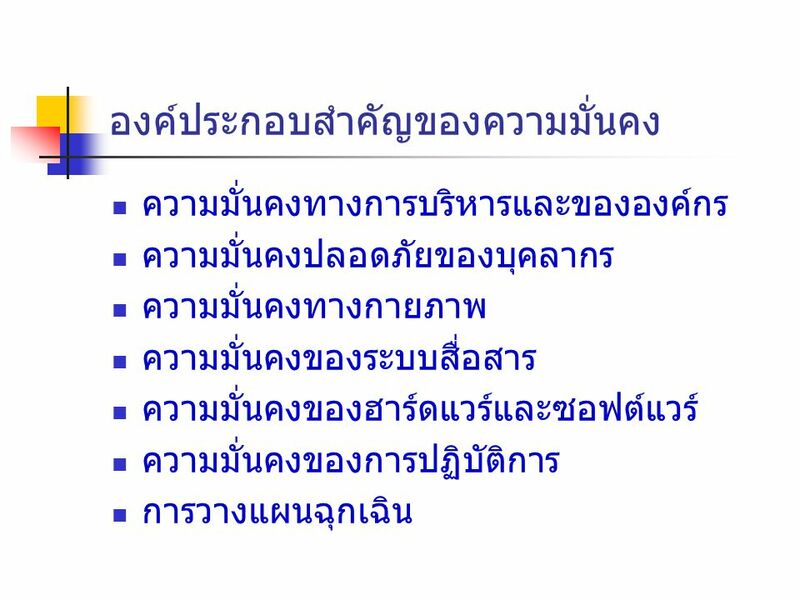 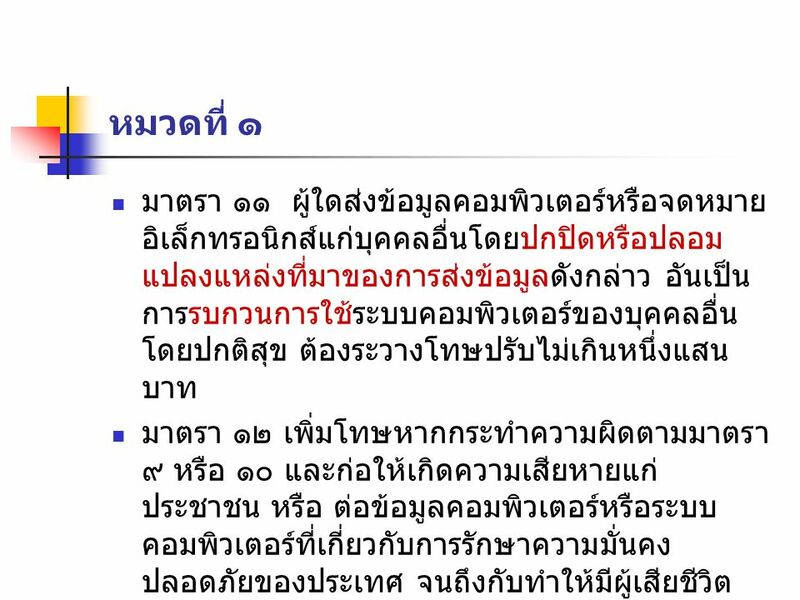 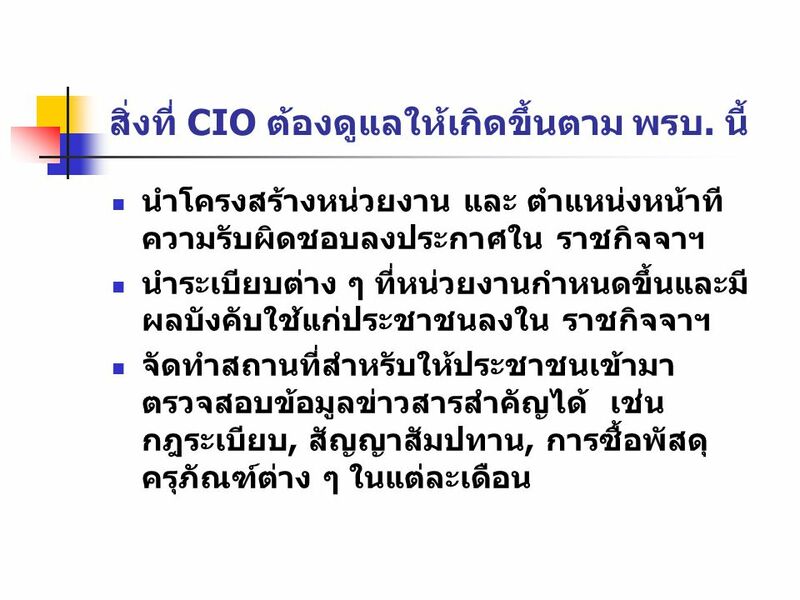 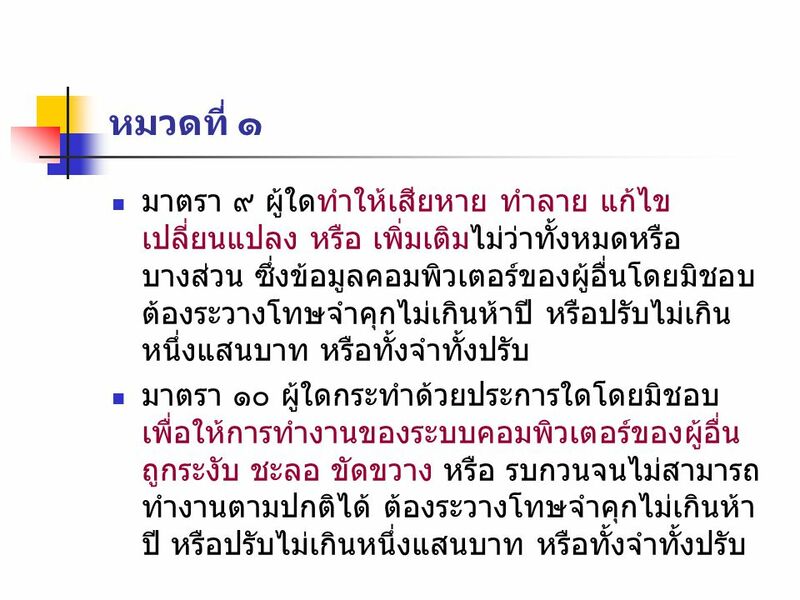 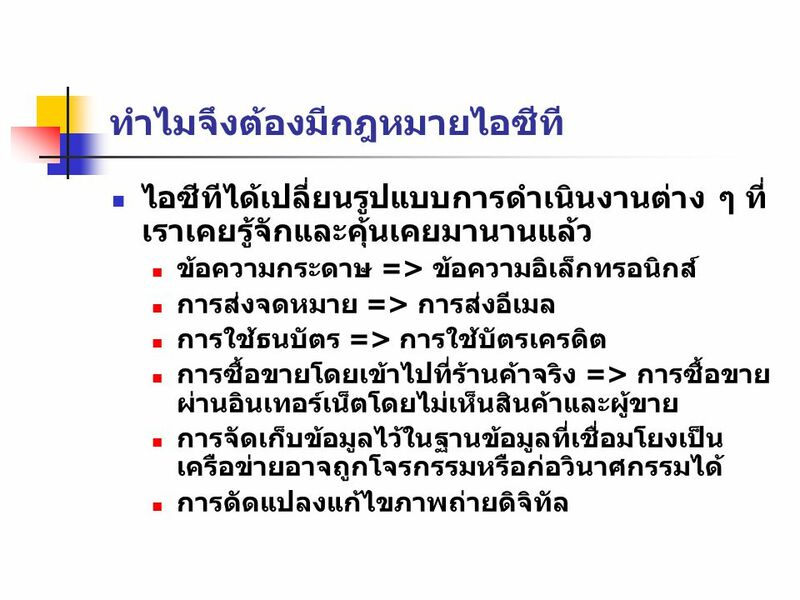 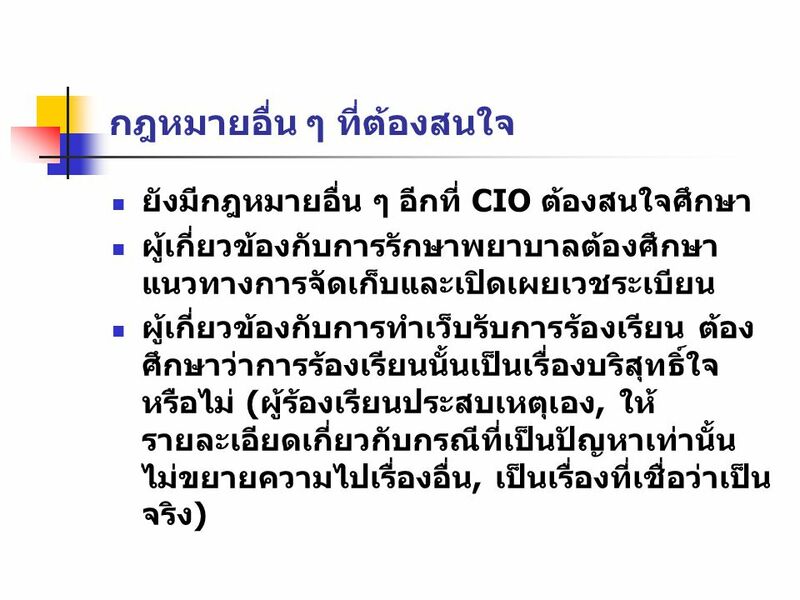 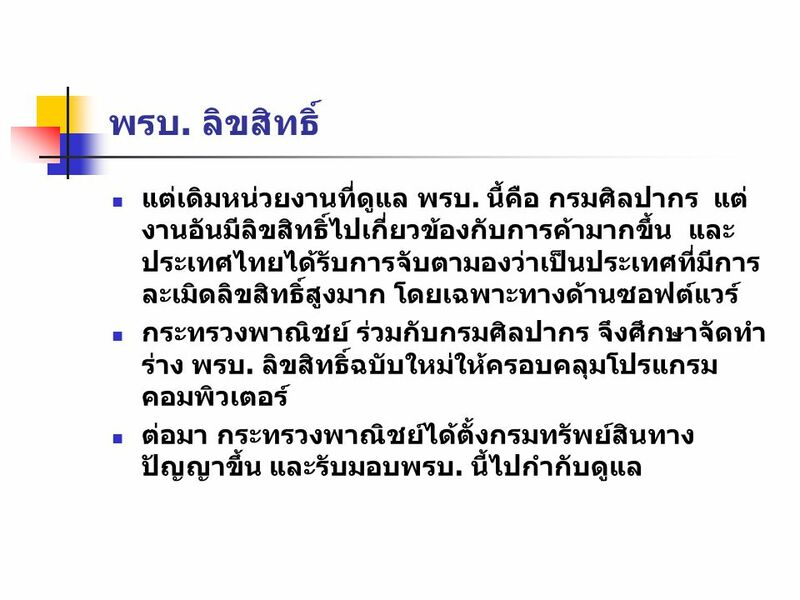 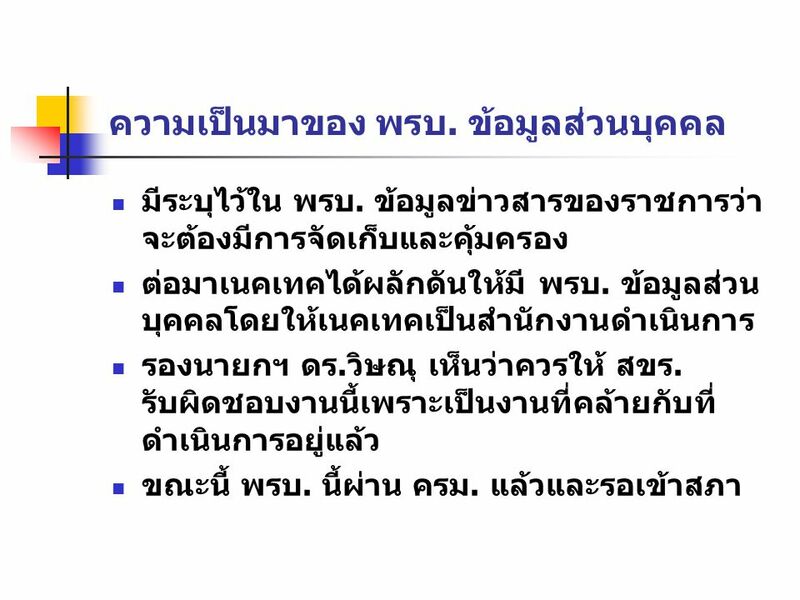 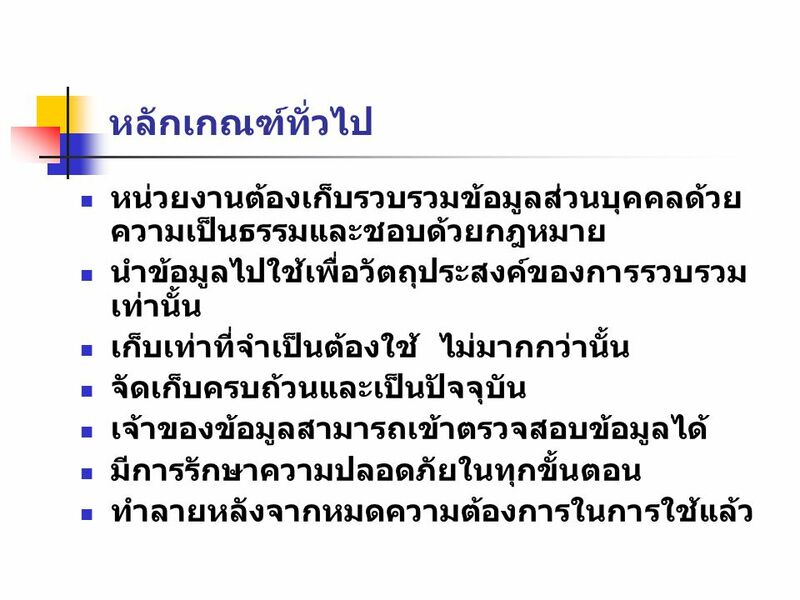 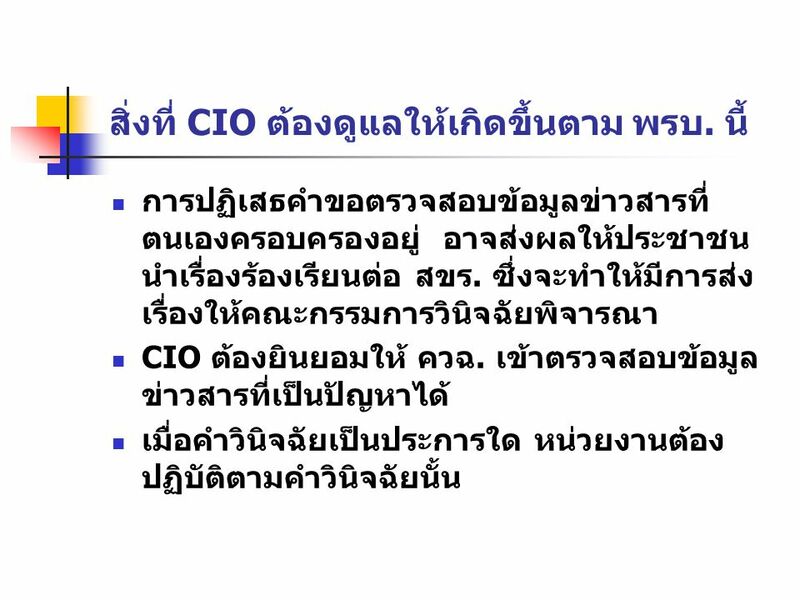 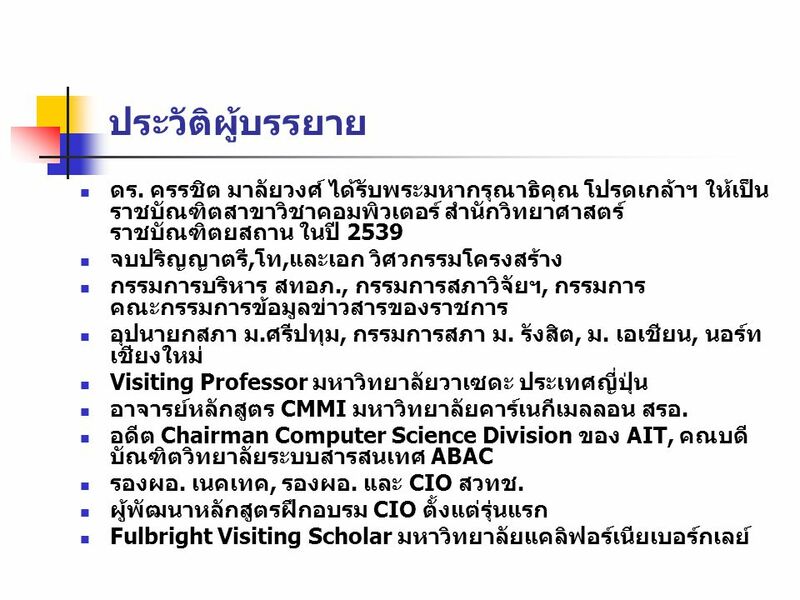 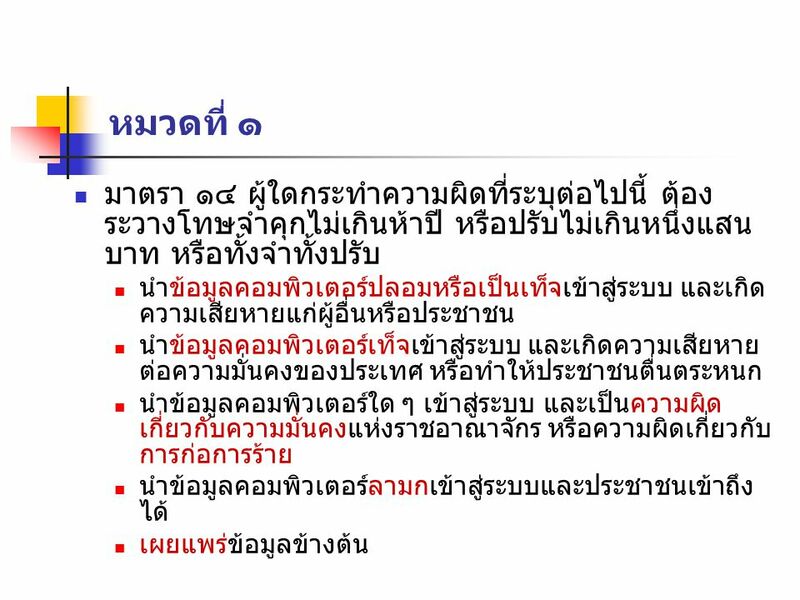 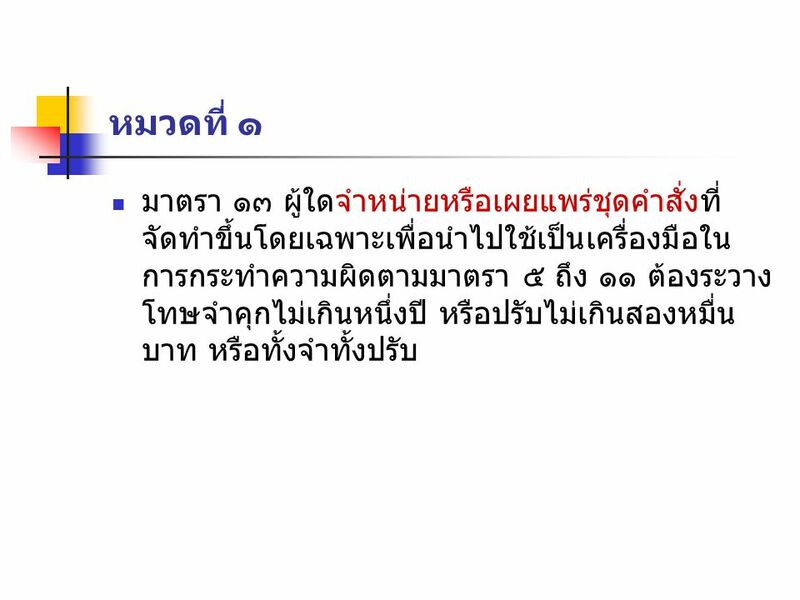 การค้ามนุษย์ การค้ามนุษย์ สภาพปัญหา ผลกระทบ แนวทางการแก้ไขปัญหา.